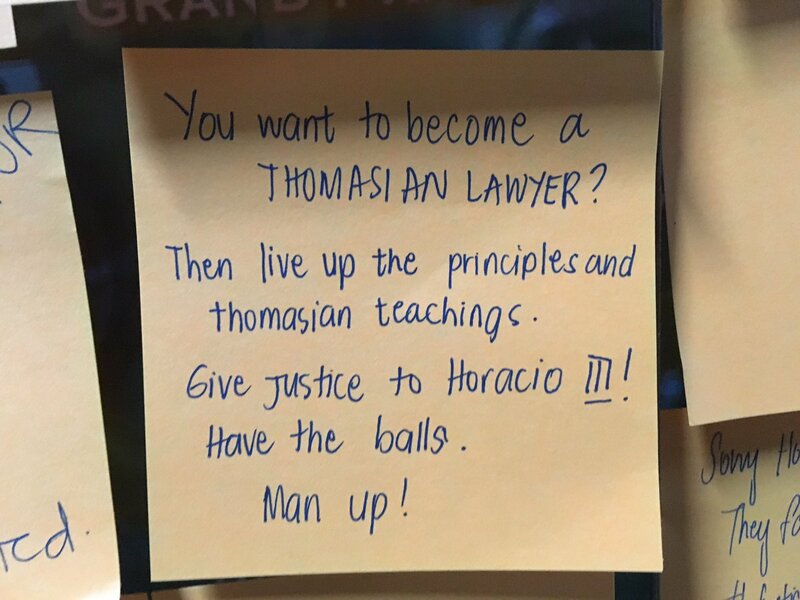 In universal compassion over the fate of Horacio and condemnation over hazing, Thomasians went to the bulletin board of Aegis Juris to express their cries. 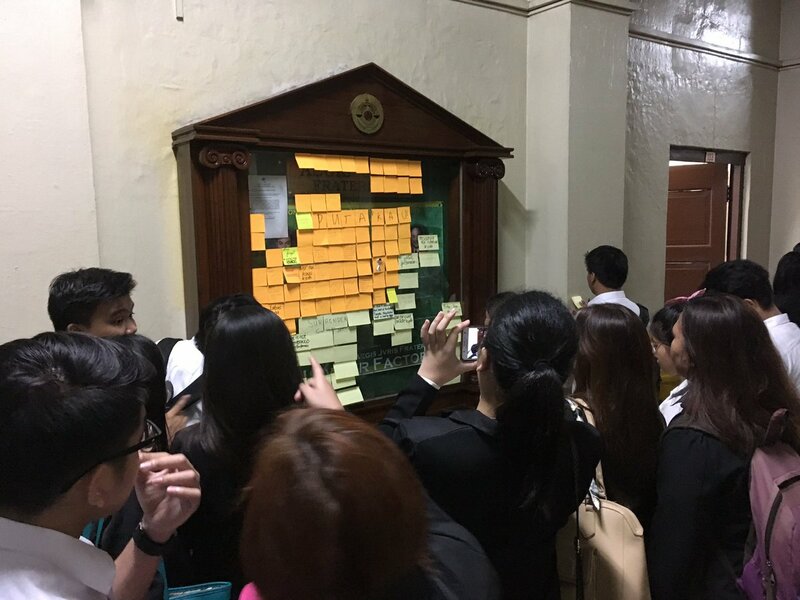 The atmosphere inside the University of Santo Tomas is still sad. 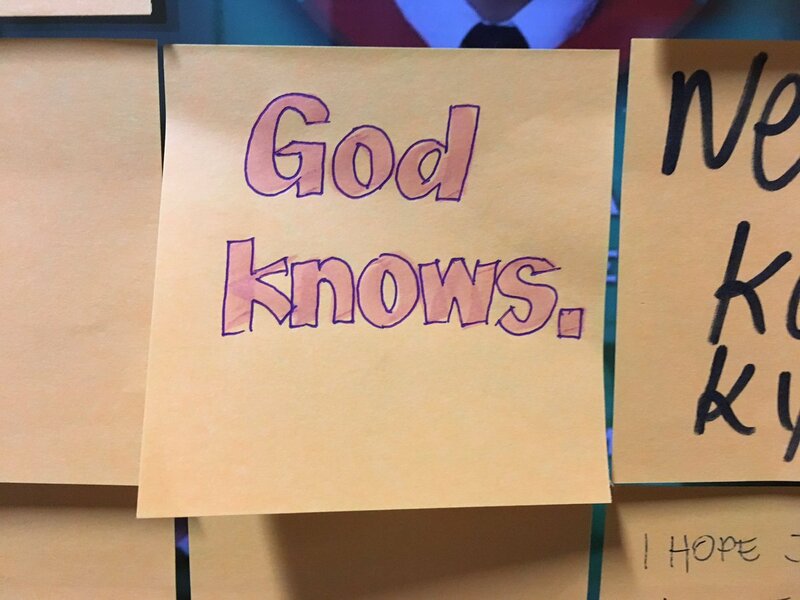 While classes have resumed after the prayer vigil on September 18, most students have expressed trouble over continuing their studies, citing worry, empathy, and distraction, knowing that one of their brothers-in-Law has been a victim of yet another alleged fraternity violence. The reputation of the Faculty of Civil Law has been marred by the recent events. Most students have been interrogated by their close relatives about affiliations with fraternities and sororities. 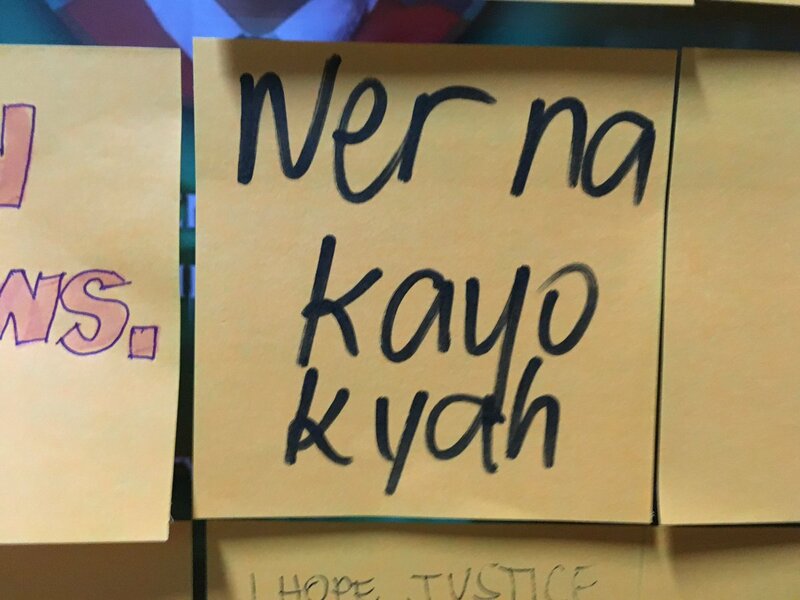 Some students have been urged to transfer law school or to quit law school. 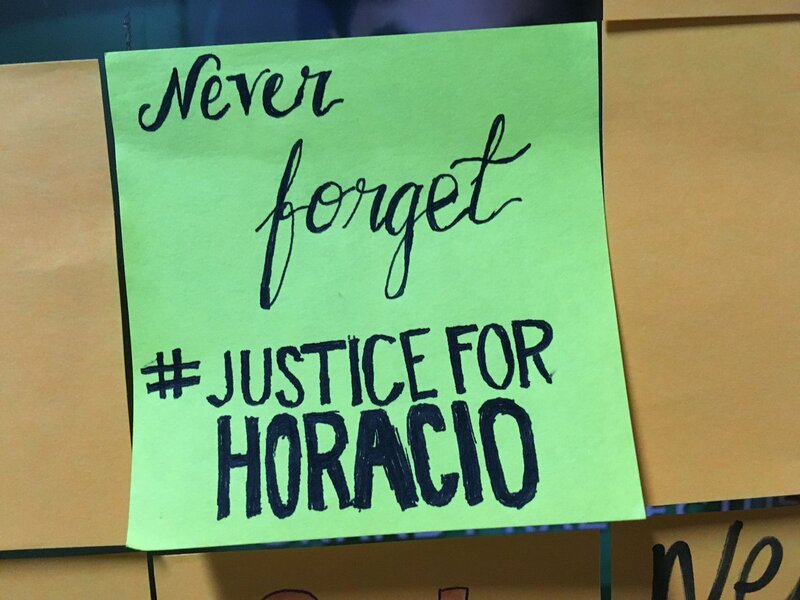 The academic struggle is now aggravated by the heavy emotional burden, especially to those who are close to Horacio. The grieving, anger, and condemnation is shared by the entire student population of the Faculty of Civil Law. 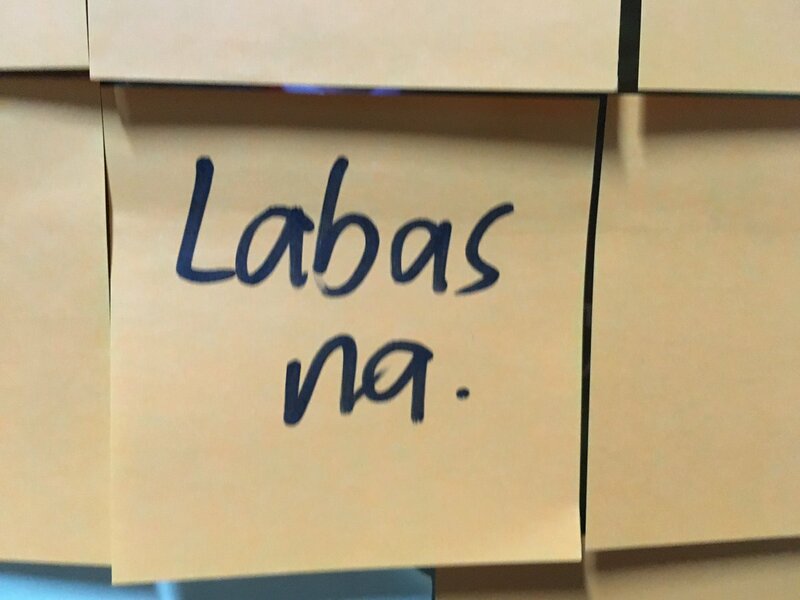 The Faculty of Civil Law shall never forget. 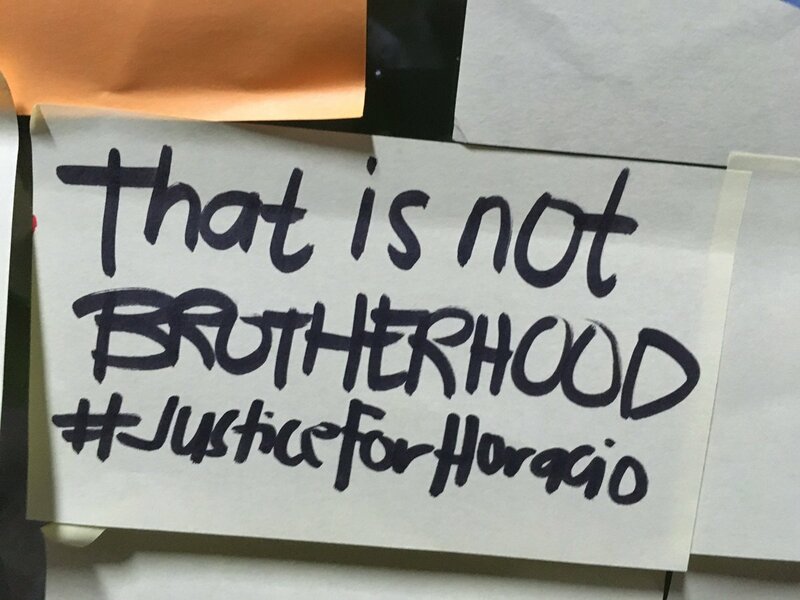 READ: OPINION: In the name of brotherhood. 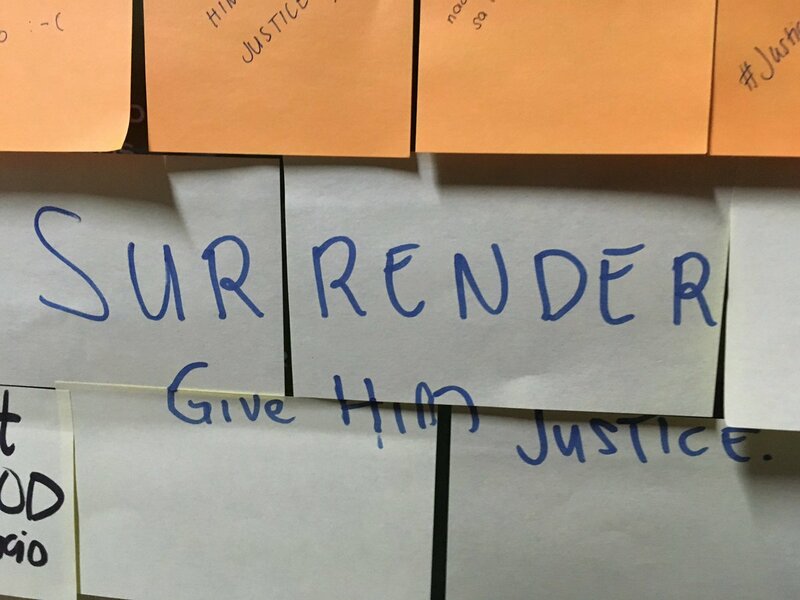 Calls for the surrender of the involved fraternity members were also posted in their bulletin board. Next postLook! Someone famous is now studying law!